Entertainment and Fashion Galore: Clinique Products! 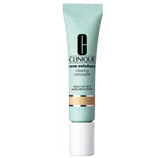 Yes today, I checked on Clinique concealer at the mall and I supposed to buy it but the cashier was too slow. They are busy and have lots of customers. I was in the cashier area waiting and waiting but nobody cares. So I just put it there and left! Actually I will come back and buy it again. Actually there is a night cream that I like but I need to save more money on that. It is a bit expensive so will save more. This entry was posted on 2:47 PM and is filed under clinique concealer , concealer , Wfashion . You can follow any responses to this entry through the RSS 2.0 feed. You can leave a response, or trackback from your own site.